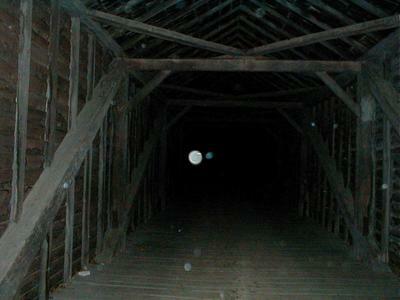 * A man hanged from the back rafter of the bridge when you look in your rear view mirror. * Hand prints on the car as if your being pushed off. There are many stories told from the bridge But I will tell you the story of the 5 times I have visited and then you can decide for your self if you think this is worth your time. 2 Years in October of 2011, 2 friend and I decided to visit this place for the first time. We were revved up and excited to do this. We got to the bridge and did what the legend said. Nothing Happened. A few months later we tried it again. Nothing Happened. We gave up on it, then Just about 3 and half 4 weeks ago in September of 2013. We decided to go with an extra person Who we found out was just a spiritually Sensitive as us. We did our normal 3 places before we did Jericho. We came up to it and everything seemed rather dark that night. The girls sat on the passenger side and the Guys on the driver. There were 4 of us. Now the new addition, is my boyfriend and he was definitely a Skeptic. We wanted to show him that Ghosts and Spirits do exist. Not Only was he freaked out, But he sure as Hell believed ever since then. We pulled through the bridge and turned around so we could exit the way we came in. We pulled right into the middle of the bridge where the 3rd rather stands and took a breath. We told him before things went down, to not say anything until we get off the bridge cause it will affect what goes on. Here comes the madness of what happened. Before we even turned off the car, It jolted. We all gasped, But kept on. We turned the car off and waited, Only 30 seconds after the car was off, we started to experience things that have never happened before. We heard chains dragging along the wood, Voices, Laughing, the car jolted again. We decided to leave before anything extreme happened. Just them My friend and I who are on the Passenger side, Both got severely scratched. We started the car and left. We have visited several times after and have not had the same experience twice. My advice is if your willing to take the trip and see what you can find. Do it. You have got nothing to loose. Many people do it, and we have never gotten in trouble. It's fun and adventurous. Just be careful. Do not ever provok (Spelling, I apologize if its wrong.?) anything and or bring anything into your minds. 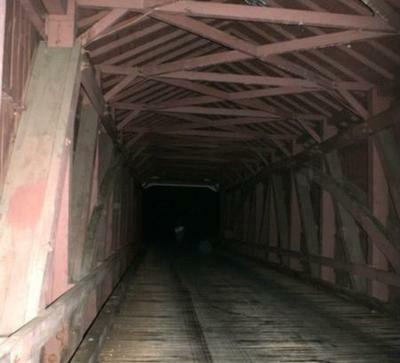 This bridge can be very dangerous. Some of the information is incorrect. 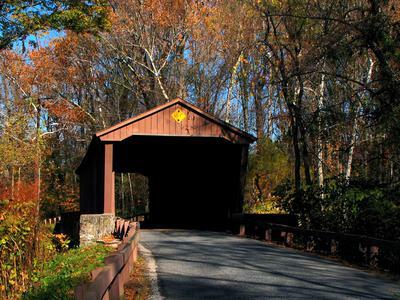 There are 6 covered bridges left in Maryland. 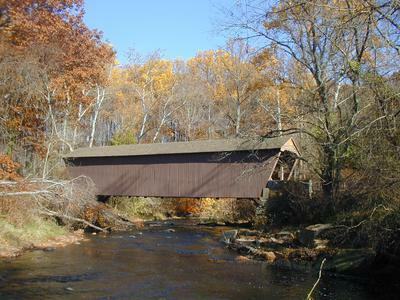 As per a Batlimore Sun article found at http://touch.baltimoresun.com/#section/-1/article/p2p-83894729/, of the 6 covered bridges remaining in MD, only 3 still handle traffic.